B.C. 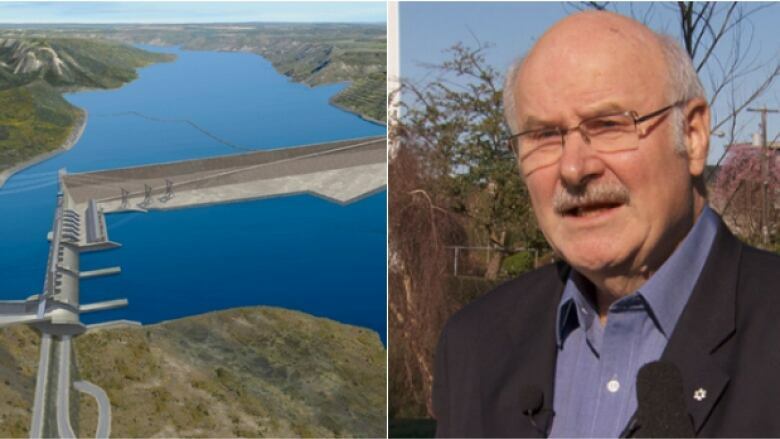 's former premier Mike Harcourt says the Site C dam project is an outdated method of generating energy. "Outdated" and "disastrous" — that's what former B.C. premier Mike Harcourt says about the Site C dam project. The controversial hydroelectric project has been the subject of several First Nations legal challenges, and protests by environmentalists, politicians and organizations such as Amnesty International. "It's a 20th century solution in the 21st century," Harcourt told CBC's The Early Edition. He's called for the entire project to be stopped. While he acknowledged the role dam infrastructure projects have had in generating clean energy for British Columbians for decades, he declared the age of the mega-dam is over. Harcourt, who led an NDP government from 1991 to 1996, claimed the project would bankrupt B.C. Hydro and put a burden on B.C. tax payers. "I think it's better to cut losses now rather than face a disastrous financial situation down the line with a $15 to $17 billion increase to consumers and shutting down or chasing out the mining industry." There are more economical and less disruptive options than Site C, he added. He suggested adding capacity to existing dams and exploring alternative forms of energy like thermal and solar energy. Harcourt said it is not too late to stop the project, even though construction started a year ago. "It's a choice," he said. "We've done it before." Harcourt referred to the City of Vancouver backing out of plans to build a waterfront freeway through Gastown and Chinatown in the 1960s after a public protest. "They had already expropriated land in Strathcona to build a six to eight lane freeway through to the TransCanada, so we cut our losses there," he said. He said he thought it was unlikely the present provincial government would change course on Site C at this point, but mused the upcoming provincial election could change things. "It will be up to the people of B.C. to decide. This will be one of the important issues." Amnesty International calls for more police in Fort St. John, northeast B.C.